Did Samsung just let slip this important Galaxy S10 detail? In all the excitement about its all-new Android mobile operating system, One UI, Samsung may have accidentally let slip an important detail about its upcoming Galaxy S10 and Galaxy S10 Plus handsets – the colours. During a recent presentation to developers about its new One UI operating system, Samsung talked about the Android skin's ability to colour-match swathes of its user interface with the colour of the device it was running on. To demonstrate this ability, Samsung showcased the One UI interface in five different colours – Pink, Green, Silver, Blue, and Black. These finishes could hint at the hardware colours planned for the next generation Samsung smartphone. That makes a certain amount of sense. After all, Samsung Galaxy S10 is likely to be one of the first handsets to ship with One UI preinstalled and therefore one of the first to colour-match the operating system with the hardware. As such, Samsung undoubtedly has already added support for all of the planned Galaxy S10 finishes into One UI. However, would the company really be careless enough to unveil the colours during its own developer conference months before the rumoured Galaxy S10 release date in February 2019? The five colours shown on-stage during the developer conference have all appeared in the past on previous Samsung handsets. However, neither the Galaxy S8 nor Galaxy S9 range is currently available in Pink, Green, Silver, Blue, and Black globally – fuelling rumours the One UI demo confirmed the colour line-up for the Galaxy S10. Until now, Samsung was rumoured to be launching its Galaxy S10 handset in four finishes – Black, Pink, Silver, and White. Elsewhere, the Galaxy S10 is rumoured to boast a 48-megapixel camera, faster performance, as well as a truly all-screen design with a fingerprint scanner and a front-facing selfie camera embedded beneath the glass display. Samsung is expected to reveal four Galaxy S10 models – an affordable single lens model, a dual-camera successor to Galaxy S9, and a triple-camera S9 Plus follow-up. Finally, there may also be an S10 branded model that ships with 5G connectivity. 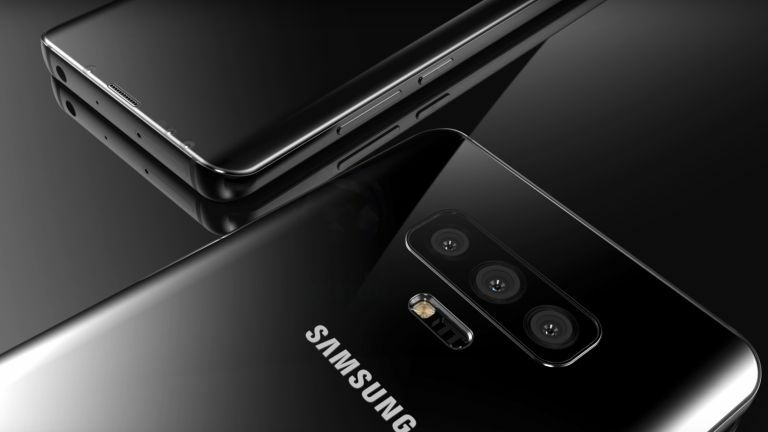 Samsung is widely-rumoured to debut its Galaxy S10 and Galaxy S10 Plus during a keynote at the Mobile World Congress (MWC) tradeshow in February 2019.